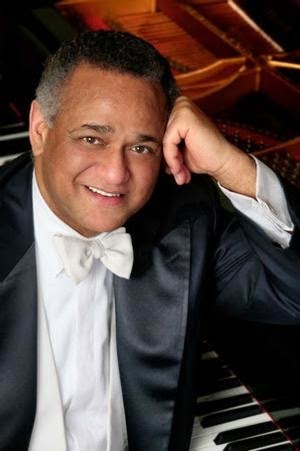 On Saturday, September 13 at 8:00 pm at Hill Auditorium the Ann Arbor Symphony Orchestra opens the 2014-2015 season with an all-Beethoven celebration featuring renowned pianist André Watts. The concert will provide a memorable experience for both the life-long lover of classical music as well as the first-time music trialist. "It is always exciting to make music with new colleagues and I am looking forward to my debut with the Ann Arbor Symphony!" said Mr. Watts in anticipation of performing Beethoven's monumental Piano Concerto No. 5 in E-flat Major, the "Emperor." Conductor Arie Lipsky leads the orchestra in a special all-Beethoven season opening concert in historic Hill Auditorium which also features Leonore Overture No. 3 Op. 72b and the Symphony No. 5 in C minor Op. 6. The Symphony and its four-note opening motif in particular, are instantly recognizable because of their frequent appearance in film, TV, and pop culture. The Overture first defined what an overture is, and is one of four overtures written to introduce Beethoven's only opera, Fidelio.